It was October 22, 2015: the program Enquête created the commotion by raising the veil on police abuse of Aboriginal women in Val-d’Or. One year later, Quebec is creating a new support program to support organizations working with urban Aboriginal people to help them avoid the pitfalls of their new lives. Abuse of power, intimidation, sexual assault… testimonies of Aboriginal women victims of police highlighted the difficulties faced by First Nations people who leave their homelands to settle in the cities. 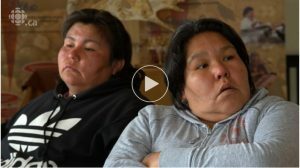 A year after these sad events were unearthed, Quebec announces an envelope of 8.9 million dollars to help the Aboriginals living outside their communities. The program of assistance to urban Aboriginal people was officially launched Monday by the Minister Of Aboriginal Affairs, Geoffrey Kelley, at the Native Friendship Center of Montreal. This two-part commitment was made in the last budget. In order to better support these people and prevent potential predators from abusing them, Québec will make available to community organizations new amounts of money to improve the direct services offered. Five million will be allocated to organizations offering specialized services, at a rate of one million per year. Québec will also inject $3.9 million over four years into the construction or renovation of infrastructure. New places in residential centers, specialized health services, psychosocial support… organizations working with Aboriginal people already have a good idea of what they will do with this new money. The Director of Quebec’s Native Projects Office stresses the importance of quickly taking care of Aboriginal people, particularly women, who are migrating from their home community to large cities. «The women we see, often, they leave situations of abuse, violence, so […] already, they come [to town] a little broken. It’s very important to be able to work quickly with these women before they fall into a cycle of homelessness where they become even more vulnerable to drug dealers and pimps», says Adrienne Campbell. In an interview with Radio-Canada, Minister Kelley indicated that these new amounts were in addition to the five million dollars over five years already provided for Aboriginal people living outside the community under the Aboriginal Initiatives Fund. Minister Kelley pointed out that the number of urban Aboriginal people is growing. A rise is to be expected, he added, because First Nations communities are very young. Presenting alongside Minister Kelley, Monique Vallée, the homeless person responsible for homelessness in Montreal, said that the Aboriginal population in the city had increased by 44% between 2001 and 2006. While these new funds will be primarily intended for urban Aboriginal people, the federal government has promised to invest heavily in reserves, although this commitment is still lagging behind. Beyond the new investments it is putting forward, the Quebec government also wants to ensure that the National Commission of Inquiry into Missing and Murdered Indigenous Women and Girls set up by the Justin Trudeau government on August 3, will study the situation in Quebec. At the request of the federal government, the Quebec government – like the other provinces – has passed an order conferring on Ottawa-appointed commissioners the same powers as those enjoyed by boards of inquiry set up by Quebec, including the power to compel testimony and the power to require the production of documents. Quebec, however, also included in the decree that it adopted an explicit reference to the events of Val-d’Or: «We want to look at the policies and practices of police forces in Quebec. We also want to pay special attention to the situation in Val-d’Or», explains Minister Kelley. One year after the events in Val-d’Or, things are finally moving a little, rejoices the director of Projets Autochtones du Québec, Adrienne Campbell. She regrets, however, one thing: «I do not think we should wait for this news to react. We know what the problems are for a long time. It’s just too bad that it takes all of a sudden to build a lot of programs and grants. We should do prevention instead of always reacting», she concludes.